One thing I didn’t realize before getting pregnant was how important it is to research everything you are putting into or on your body to ensure that it is safe for baby. That even includes skincare and makeup! 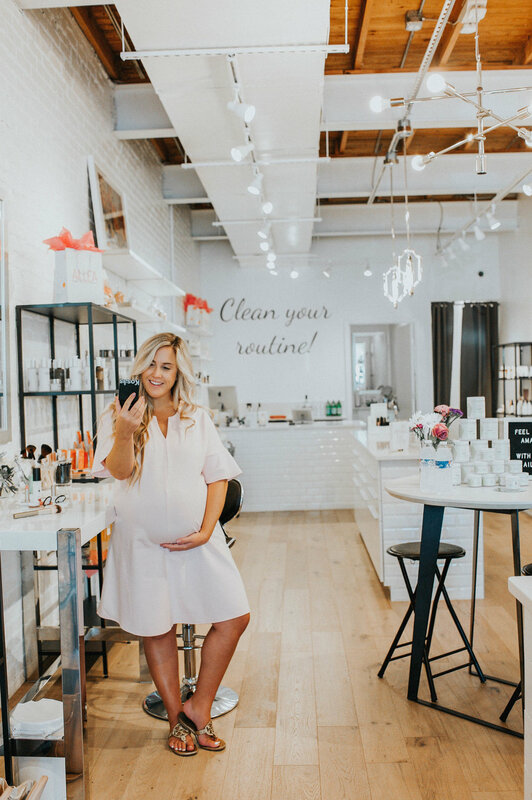 On a recent shopping trip at my favorite Raleigh shopping center, Cameron Village, I discovered an incredible store filled with clean beauty products that are perfect for pregnant women. I am so excited to introduce you to AILLEA! AILLEA is a place where women can “clean up” there beauty routine and find products that are free of parabens, sulfates, petrochemicals, endocrine disruptors or other toxic chemicals, and were not tested on animals. I loved being able to shop around and find products that were safe for me and baby during this critical time in my life! I even got to test out a few of their wide range of products and have my makeup done! It was such a treat for this overdue mama-to-be, and I LOVED the finished product. 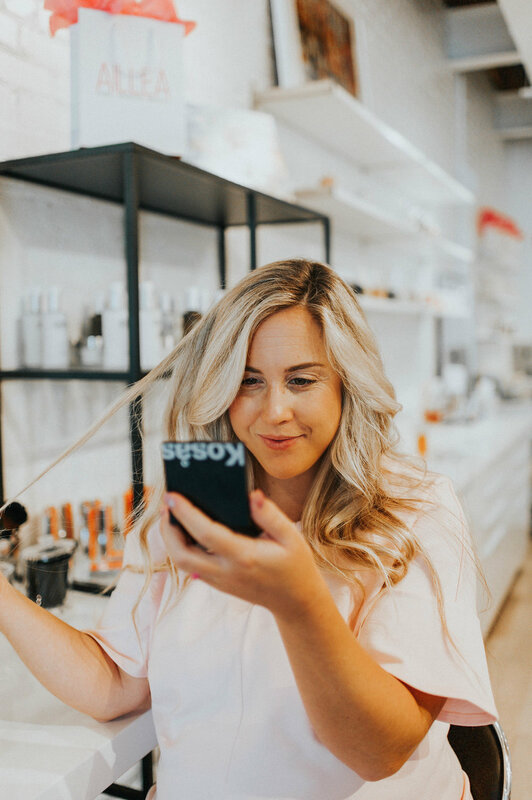 One of my favorite products was the Lily Lolo mascara, it truly lengthened my lashes with just a couple of coats + it’s only $20 and is the perfect place to start if you are looking to switch up your beauty routine to include clean products. I also loved the CLOVE + HALLOW line of lipsticks and found the perfect shade of pink for Fall. AILLEA is such a beautiful store and has a wonderful staff eager to help you find the best products for your lifestyle. Did I mention they even have a section of safe products to use on baby? I know I will be stocking up on diaper cream, baby oil and sunscreen once baby finally decides to arrive!